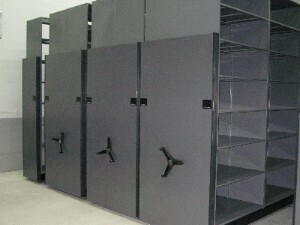 Industrial Compact Shelving eliminates the need to have monstrous warehouses with endless rows of static fixed pallet racking. 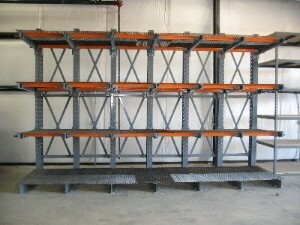 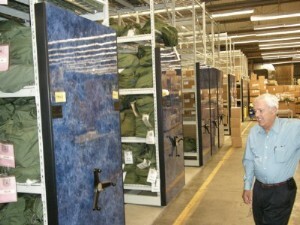 With rising facility costs, mobilizing your racking systems with Industrial Compact Shelving can reduce your space requirement in half by eliminating conventional fixed aisles and accessing aisles only as needed. 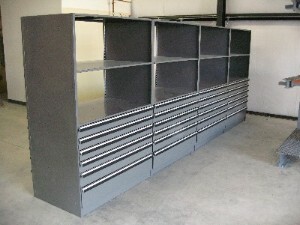 MTM Business Systems has designed and installed large warehouse systems including Industrial Compact Shelving, storage shelving with drawers for toolroom and benchstock storage including cantilever racking shelving systems.